Chambres & Hébergement Tavel Lirac,bed and breakfast Tavel Lirac, zimmer Tavel Lirac, Hôtel proche de Lirac, Tavel | Votre Hôtel à 7 km de Lirac, Tavel. Chambres & Hébergement,bed and breakfast, zimmer dans un Hotel design proche de Lirac, Tavel pas cher sortie autoroute 22. 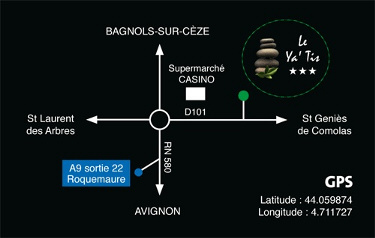 Hotel avec parking gratuit à 5 minutes de Lirac, Tavel – Hôtel design 3 *** Le Ya’Tis. Hôtel à Saint-Laurent-des-Arbres. Lirac is located in the department of Gard. Famous for its great vineyard and local AOC since 1947, Lirac is one of the few wines of the Rhone Valley available in 3 colors: white, red and rosé. 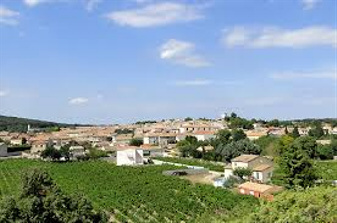 Tavel is located in the heart of the Rhone Valley in the department of Gard (30) and has an exceptional terroir that allows it to produce the first rosé of France! Second wealth of the city: its limestone hills from which is extracted the famous Tavel stone used as material for building houses and decoration. 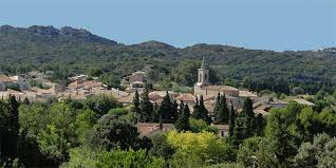 Le Yatis is located in Saint-Laurent-des-Arbres , a charming medieval village in the heart of Provence, marked by the remains of its walls and old stone buildings . All the hotel staff « The Yatis » welcomes you with a smile , in a Zen and relaxed atmosphere with a privileged location for your business appointments , for your holiday or time of a week- end .